Whether you love Jane Austen or not, you cannot deny the charm of the traditional British countryside. Its picturesque qualities are entwined with history to create a very potent mix of the traditional and the romantic. Let’s not forget the vision of the handsome Mr Darcy riding across the pastures in Pride and Prejudice. Yes it may rain a lot in England but when the sun comes out it is truly glorious! Quintessential Europe handpicks properties all over the countryside, in the UK and now abroad, choosing only the top-notch locations and ensuring they are maintained up to the highest standards. More than a hotel stay, a Quintessential experience will allow you to immerse yourself in history, yet maintain all the luxuries of modern living at your fingertips at all times. 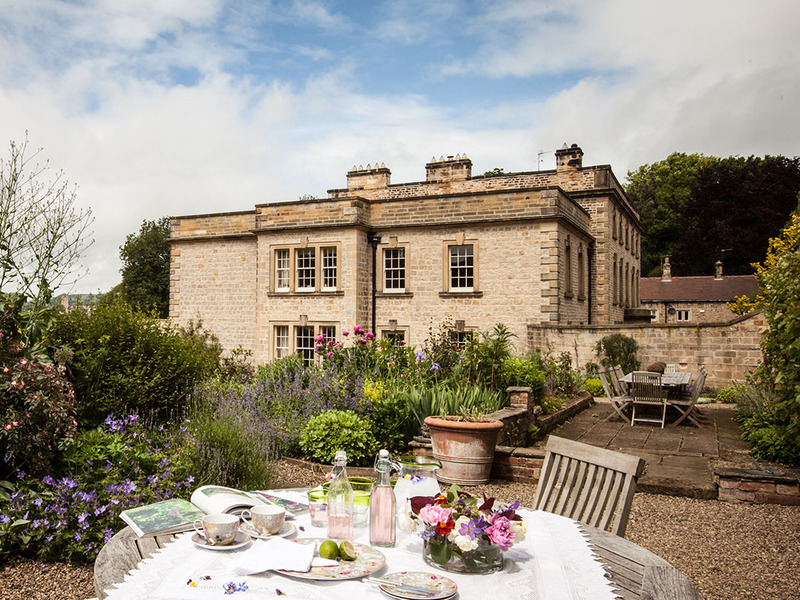 Set in a charming hamlet in North Yorkshire, Easby Hall is one of the crown jewels of Quintessential properties. Once upon a time, this Georgian country house had a ballroom, dancing hall and a sprawling staircase under its roof. Now it accommodates a dedicated bed & breakfast wing to allow for maximum comfort, privacy and bespoke experiences for it’s guests. 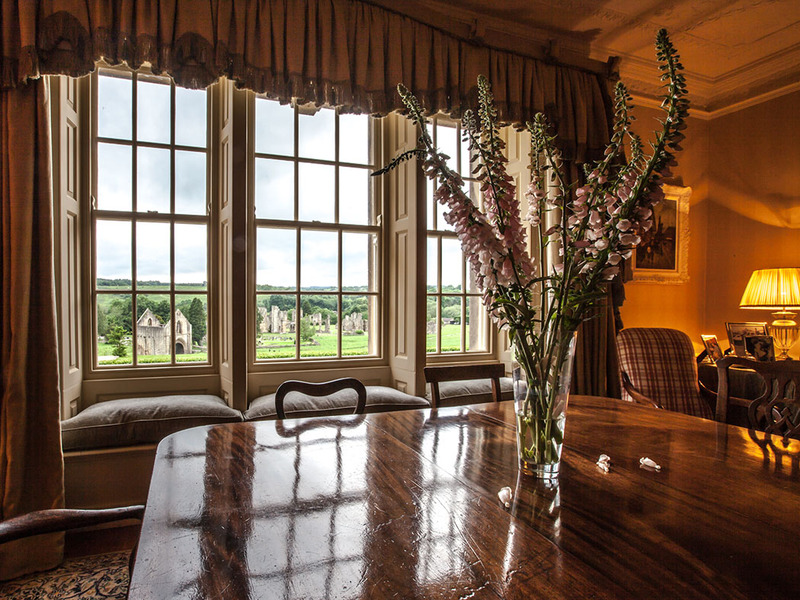 You can’t go wrong picking Easby Hall for your English countryside experience, as it simply ticks all the boxes. Romantic views of an actual 12th century Abbey? Check. River views? Check. A market town located nearby? Check. 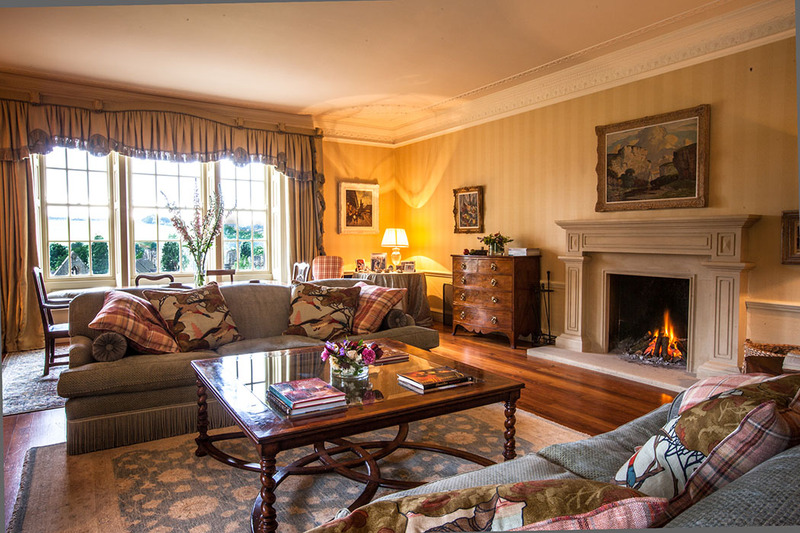 This elegant Georgian country house boasts three sumptuous suites, each offers just the right combination of traditional luxury and modern amenities. All rooms boast super king size beds, goose down toppers, high-thread-count linens and designer furniture. 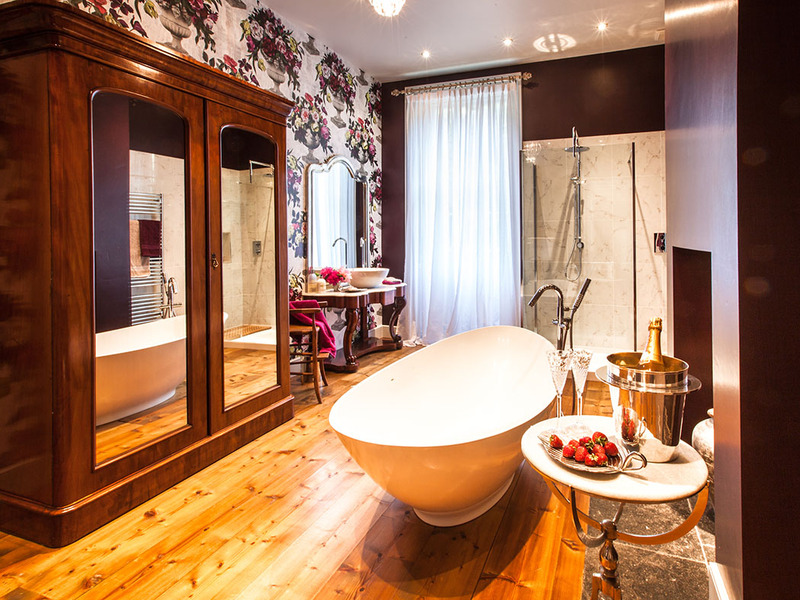 The Champagne Suite is a honeymoon dream, complete with a four-poster bed and billowing voile curtains. The bathroom has a Makti shower as well as a large egg-shaped bathtub. And to add a modern twist, a Philippe Starck ghost chair is a pivotal décor detail. 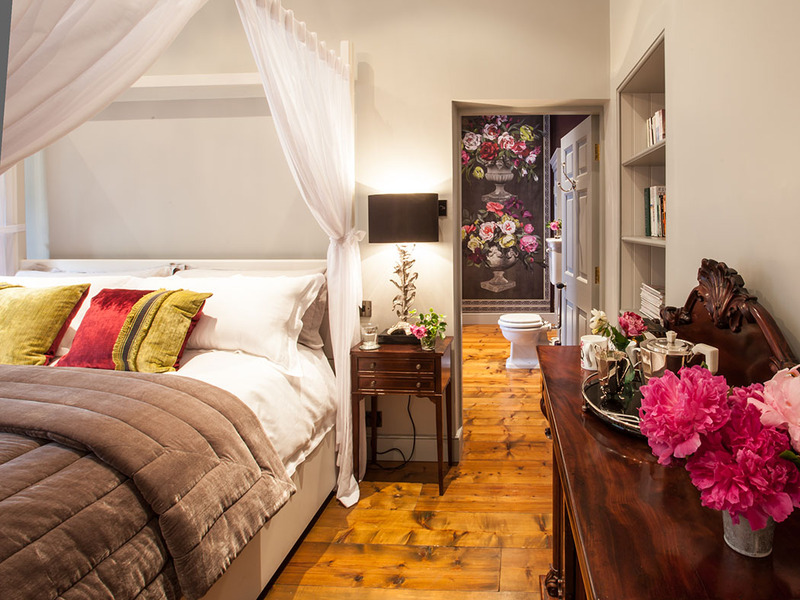 The Courtyard Suite, located on the first floor has all that and a wood burner to keep you cosy at night. Decorated in hues of yellow and mauve, the suite is large enough to accommodate a bridal party. But should you wish, this romantic abode can easily be arranged to house two twin beds instead. 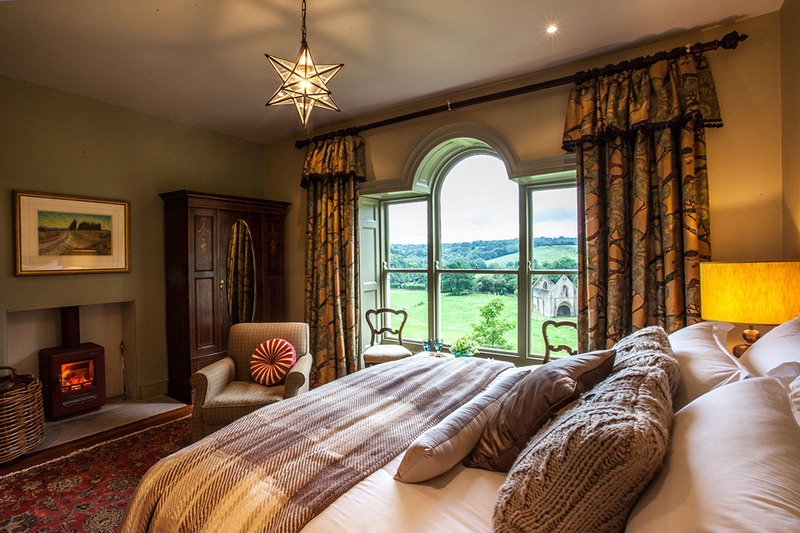 The Abbey Suite, the one ‘with the view’, is reminiscent of the fauna of the area. Designer ‘Flying Duck’ curtains by Mulberry, bring to mind the wildlife that is behind the glass of the suite’s windows. This room, too can be made into a twin-bed accommodation but still maintains the obligatory walk-in shower enjoyed by the other suites. Nothing is “too much to ask for” in the eyes of the Easby Hall management. Organic breakfasts boast fresh pancakes, French toast and a side of homemade preserves. Hint: do not miss a chance to taste the red berry jam. For those that crave more sustenance, there is a full English breakfast complete with freshly-laid eggs, Yorkshire bacon, as well as scrambled eggs and smoked salmon, to name a few. 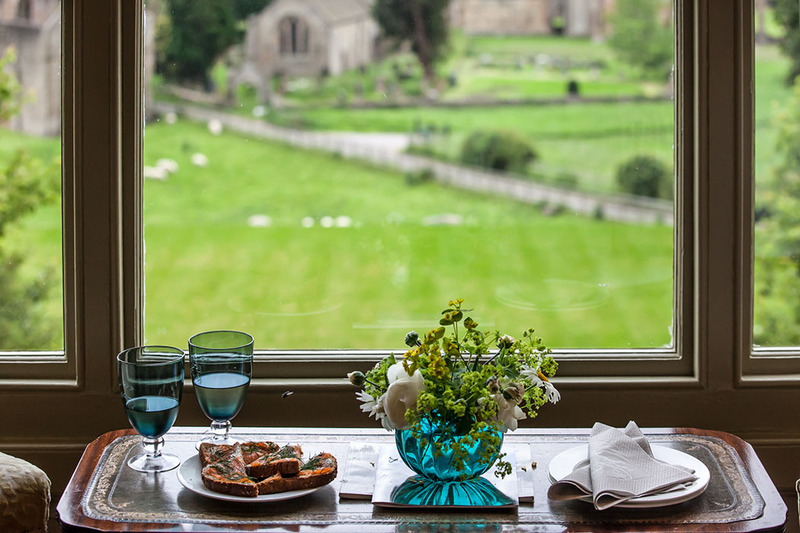 Should you wish to venture out, the proprietors will be more than happy to recommend a local haunt, and if you are a large party, why not pre-order your dinner to be savoured in the spacious drawing room, overlooking the Abbey? 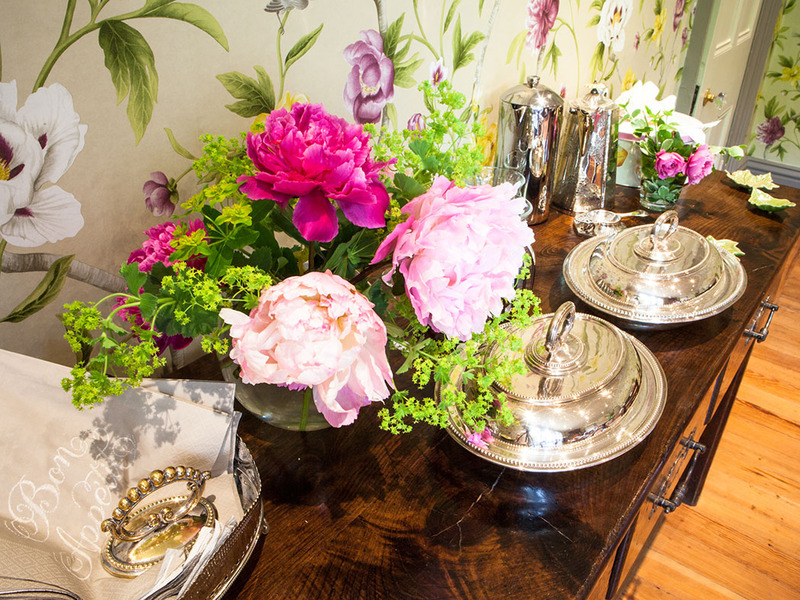 Tea, refreshments and snacks are also on the menu and can be enjoyed in the dining room of this luxury B&B. If you are visiting in summer, do not miss a chance to indulge in drinks and snacks at The Hut, an outdoor cave with an open fire and views across the countryside and to the property. 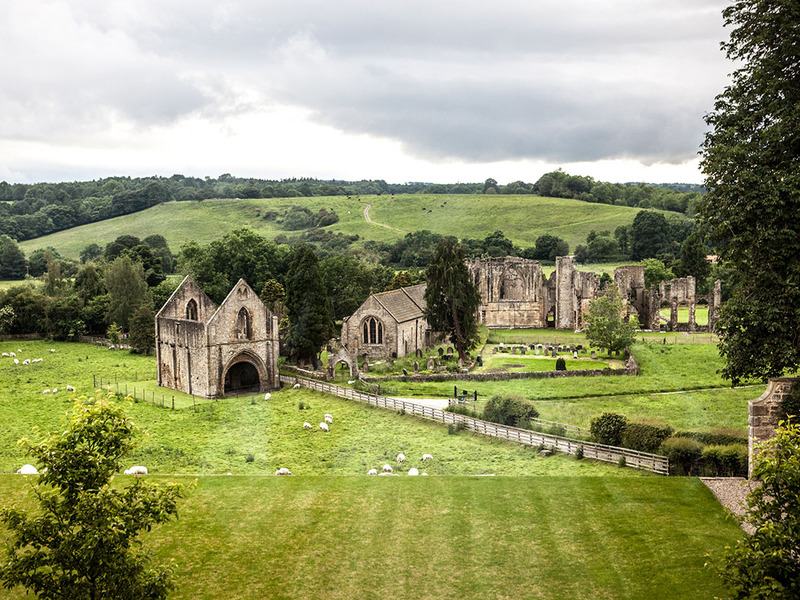 Enjoy a game of croquet on the lawns of Easby Hall, gazing over the remains of the abbey in distance. 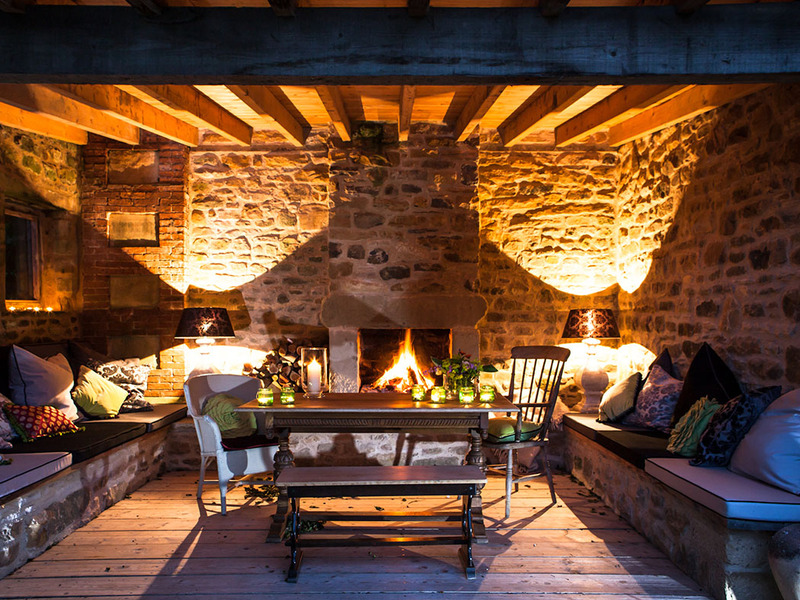 If you are feeling inspired, grab a book to enjoy at The Hut, warming your toes by the open fire. For light exercise, why not have a stroll in one of the three gardens of Easby Hall. Abbey, Walled, Kitchen and the Cutting. The market town of Richmond is a short drive away, or you can take a long walk along the banks of the River Swale and explore the Norman castle or enjoy the races nearby. 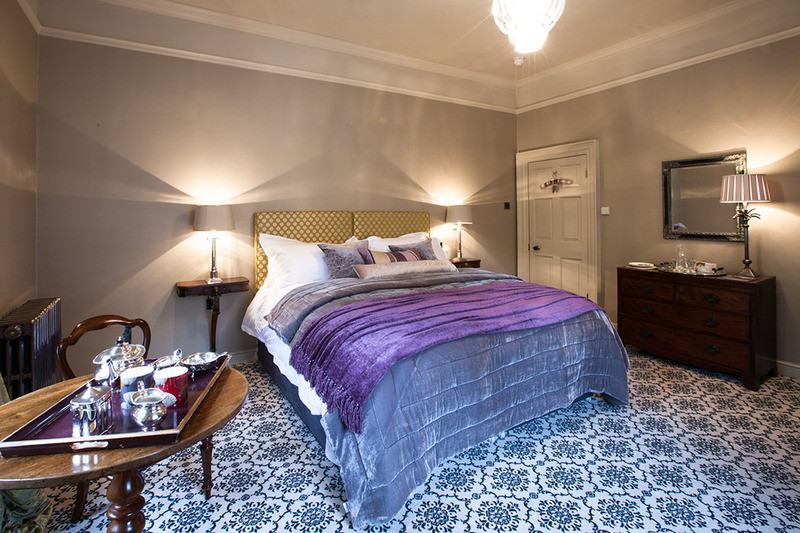 Quintessential once again delivers the ultimate in British hospitality and invites you to have the ultimate luxurious getaway at Easby Hall.